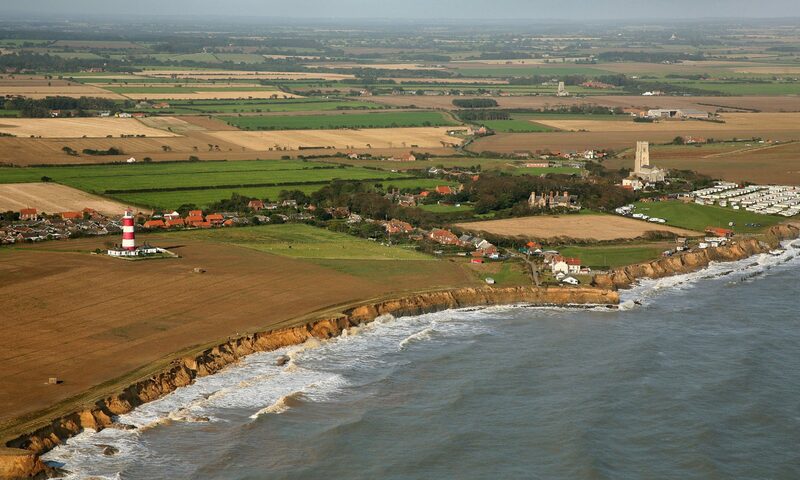 People in villages near Yarmouth are to be warned that Happisburgh’s plight today could be theirs tomorrow. The stark message will be delivered on Thursday at a public meeting at Ormesby St Margaret Community Centre. Malcolm Kerby, chairman of the Coastline Concern Action Group battling for better sea defences in North Norfolk, will discuss the Government’s proposed new shoreline management plan (SMP) in “layman’s terms”. The meeting follows one at nearby Hemsby last month when families were horrified to discover the predicted impact of the sea defence strategy of “managed retreat”. SMP consultant engineer Halcrow has estimated that hundreds of homes and businesses are likely to be lost to the sea over the next century along the coast from Winterton to Caister. And in Scratby – part of the parish of Ormesby St Margaret – it is predicted dozens of properties could go inside 50 years. Ahead of next week’s meeting, Mr Kerby said: “In 1992 Halcrow produced a map with a line showing what land would be lost around Happisburgh in 60 years’ time – we reached that line two years ago. “That shows the unpredictability. I will tell people that it is possible they might not lose any land in the next 100 years, but equally it is possible they might lose it five times as quickly as it is being predicted. “I have been saying for six years, if you want to see where you will be tomorrow, look at Happisburgh today. He said a much more immediate impact of the SMP would be a detrimental effect on house prices, with people finding it increasingly difficult to sell their homes. And he warned that as well as homes and businesses being lost, the freshwater environment of the Broads would be in peril. Mr Kerby is convinced of the link – disputed by the Government – between coastal dredging and accelerated coastal erosion. He claimed the Government was making £1m a week out of taxation from dredging off Yarmouth – and yet it was still refusing to provide sea defences. Ormesby parish clerk Alan Smith urged as many families as possible to attend the meeting at 7.30pm. He said councillors had already agreed to write official letters objecting to both the SMP and the renewal of offshore dredging licences. Residents have the chance to comment on SMP plans by writing to Terry Oakes Associates, PO Box 186, Lowestoft NR33 0WY by April 29. Stokesby Parish Council has written to Yarmouth MP Tony Wright and the borough council urging that no approval be given to the SMP until costs and assessments have been carried out on areas that could be affected. They fear that if the sea is allowed to breach defences several homes in Stokesby could be flooded.